I called the phone number and what I now know is my Angel’s voice was on the other end. Krista somehow, right then and there, knew the questions to ask me and it all started to flow out. My sadness, my loneliness, and mostly my feeling of destitution. She explained Divorce Care to me briefly and asked me to give it a try. I knew I had to do something, so with no other options of where to turn, I went to the group. I remember walking in the first night, nervous and yet so low and sad, I had nowhere else to turn. I was very quiet that night, and Krista reached out to me in such a gentle way that made me feel welcome. I didn’t say much that first night, and was not intimidated to do so. I just sat and listened. And I remember thinking over and over…I’m not the only one! I walked into that room sure that I was the only one who endured a 20 marriage only to find out so much of it was a lie. I knew I had to be the only one on the earth who was so destroyed, so violated by lies, so hurt by deception, and so shattered from what I thought the future would hold…but listening to the others in the room briefly tell their stories, I learned that I wasn’t alone. There were others that hurt in the same way I did…and there were those that were hurt that way once, but had made such strides and progress with the assistance of Divorce Care that I realized that the end was not necessarily here and now. I left that night with many thoughts running through my head. I still wasn’t convinced that a group setting was my style, but I knew I had to return the next week, if nothing else, just to make sure. Well, I showed up the next week and that was it! I was hooked! 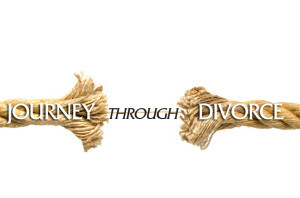 Through the curriculum I learned the steps/management of divorce. But through the comradery of the group, the direction provided by Krista and Jon, and the fellowship of those in the group, I found the strength to move forward each and every week. As each of us would describe our previous week, our current feelings and our immediate trials, Krista would listen with open ears, an open heart and a compassionate soul. The support both emotional and personal Krista provided to me was the most amazing strength I have ever felt. Krista continued to reach out to me in so many ways, she supported me during court appearances, she helped me with my struggling faith, she helped me journey through everything divorce creates havoc with in your life. Today I see Krista as my Angel. I have told her that many times. She giggles and just sloughs it off…but in reality it is the honest truth. I think of her so often, and usually reach out to her as one of my first points of contact when something awful or challenging presents itself in my life. She is my rock. She is my anchor. Mostly she is my faithful friend who helps to continue to guide me. I am not close to Krista on a daily basis and that makes me sad. I know she has such a wealth of friends far closer to her than I. However, I do feel that we have a bond that is not breakable. She saved me when I needed saving the very most, and she has always given me the strength I needed whenever I reached out. If I can ever return to her what she has given me, my life will be complete. In the meantime, I can only continue to reach out and be her friend. If Krista is available to you to help you with your Journey Through Divorce, I say grab on and let her guide you through your own recovery and ultimate prosperity. “I met Jon and Krista Smith several years ago when I was looking for a curriculum to help teenagers whose parents were divorcing. 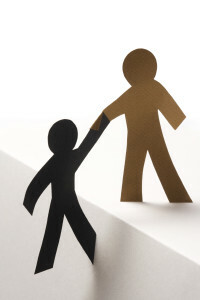 At the time, I was the director of Family Connections, a large single parent family ministry in Oregon. I had not experienced divorce, so I was in desperate need of quality resources. 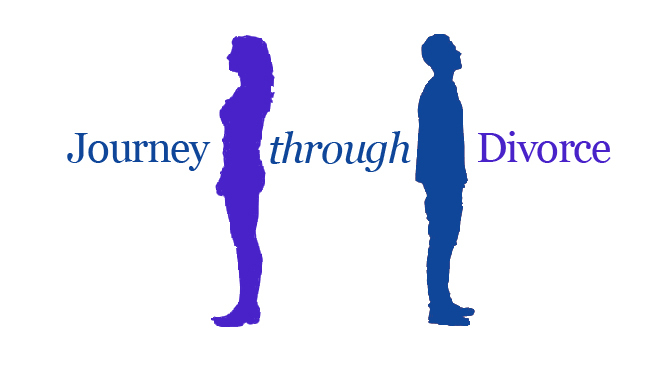 The Big D…Divorce Thru the Eyes of a Teen was a pure answer to prayer as I looked through the curriculum and saw how thorough it was in addressing the devastating issues teens have when their family is falling apart. We immediately bought it and began classes as soon as we felt we were prepared. I personally led 7 groups of The Big D and the healing in the teens was nothing short of miraculous. They usually came because they were directed by a parent to, but even at the end of the first session, they were looking forward to coming back. Parents were thrilled to see how their teens changed through The Big D process. The teaching, opportunities to share, and the activities kept the teens engaged, but the best part was when they healed as they grew from how God’s perspective was introduced to them. Many of our teens have begun to serve in our church and camp and are very grateful for The Big D.
“My relationship with Krista began at the same time I began my journey through divorce. That particular journey in my life started in 2003. It was a journey that I would have never thought possible and turned every potential dream upside down and inside out. My former husband and I had been married for 7 years and had 3 children (5, 4, and 2 at the time). The unraveling of my marriage is too long for this letter, but what I can tell you is that it threw me into such a tailspin that my very life teetered on the edge of eternity. No person can be saved apart from Christ. But, God does use people to save the hurting and lost from paths of destruction and sometimes, even, death. Krista is one of those people that God used in my life. Through her He has taught me compassion, love, and sensibility. To summarize how we met, my children and I moved back home with my parents and I began going to Divorce Care at a local church. No one in my immediate family had experienced divorce and so I felt alone and largely misunderstood. Through some crazy circumstances I found myself at Krista’s home early one morning. That morning, if I had not received help, my plan was to take my life and quit this ugly world. Krista opened up her arms, her home, and her heart and never looked back. After that she held my hand through every heart wrenching email, all the paperwork and court dates that entails the ending of a marriage, and a whole boat load of other issues that I either chose to go through or was thrown at me. Through that time Krista shared many things; many of which I hold tightly to, some of which I dearly wish that I would have held to, and even more that I pass on to others going through divorce and single parenthood. One important truth was that of respecting my children’s father in front of them. My former husband made some very poor decisions and led us through a nasty divorce proceeding. But, one thing that I chose to follow was to teach my children to respect him. Both Krista and Jon told me the importance of this even though it was over and beyond difficult at times. They had explained that if I did not teach them that respect, put him down in front of them, or made them dislike him, in the end, it would blow up in my face. I am so thankful for their advice in this area. Today I have a wonderful relationship with my children regarding their father. They feel safe coming to me about the issues they have with him and I have the privilege of helping them through their emotions and decisions regarding their life with him. They have been allowed to get to know who he is on their own and God has blessed not only me, but them as well because of this. They have rarely had to feel that they need to defend him to me and because of that the open communication has led to many moments of learning how God wants us to live and treat others. On the same note, I have also refused to be umpire between them and their dad. I have always encouraged them to speak to him themselves and, a few times, have forced conversation if the issue was important enough. This has helped them in other relationships in their lives and, I pray, in their future marriages. I know that I am not the only one that has been blessed by the loving hands and hearts of Jon and Krista. I know that because Jon, Krista’s late husband, had been my now husband’s, Steve, mentor and friend through his divorce. And in August of 2007 Jon and Krista stood as our witnesses when Steve and I were married and blended two families. Krista has allowed her own pain and healing through divorce to be used for God’s glory and the healing of others. I have been privileged to know Krista now for over ten years and have seen her willingness to be used by God. She has wisdom that is tempered with love and compassion for those struggling through the trenches of divorce. She has a gentleness, also, for the children that have to travel that path with us. She has beautifully brought her own children and step-children into adulthood on this journey. She wants to see health brought into children’s lives through Divorce Care for Kids (DC4K) and her Big D program and other counseling and relational avenues. Krista Smith is an amazing person to have on your side when you are going through a tough time. When I was going through my separation and divorce, she was by my side every step of way genuinely caring about what I was going through and feeling. Her love of the Lord is reflected in the way that she cares for others. She is the cool cup of water that we all need when we are going through the grieving process. She has the ability to make you feel heard and understood while gently leading you on the path toward the healing that can only take place by turning to the Lord which is where she gently guides you. I am thankful for the encouragement that she has given me over the years as I have journeyed from separated to divorced to successful single parenting. Krista is the epitome of a 2 Corinthians 1:4 woman! As she has experienced the Father of mercies and God of all comfort, she has tirelessly come alongside others to provide hope and encouragement however needed. Krista knows from personal experience what helps and what doesn’t when one is going through loss. Krista is an empathic listener and practical doer. She knows how to come alongside in both one-on-one relationships and in group formats. I have seen Krista’s personal journey as a leader in Care ministries with DivorceCare and Blended Family coaching and then, more recently, as she experienced the death of her husband and the grief that involves. She is courageous and real! She is more than capable of helping others in practical ways with empathy and care. I highly recommend Krista Smith to anyone who has suffered significant loss such as death, divorce or blended family dynamics. Krista has a heart of deep compassion and she is rooted deeply in God’s love. Krista has faced both divorce and death in her life and has walked “thru the tunnel of chaos” rather than “around the tunnel of chaos” by trusting God and applying Biblical principles such as how to grieve, reconcile and go forward in the midst of pain. Krista and I have been friends for several years now, and back during my second divorce I was able to get to know her and Jon more as they opened their home to my daughter and me and let us rent the downstairs. Krista not only provided us a home but also extended love and listening ears which in turn developed into a lifelong friendship for Krista and me. God has truly blessed me by putting Krista in my life, and by giving me the many talks and tears Krista and I have had over the years and sound advice she has given me through my hurt and healing. I have never had a friend so compassionate and empathetic to people and their hurting. Krista has the ability to let God use her gift to turn that hurt into healing – God has truly gifted her with a passion to help people who are experiencing all types of emotions from anger to sadness, hurt, confusion, or just needing some understanding. I love her heart and trust that in her.